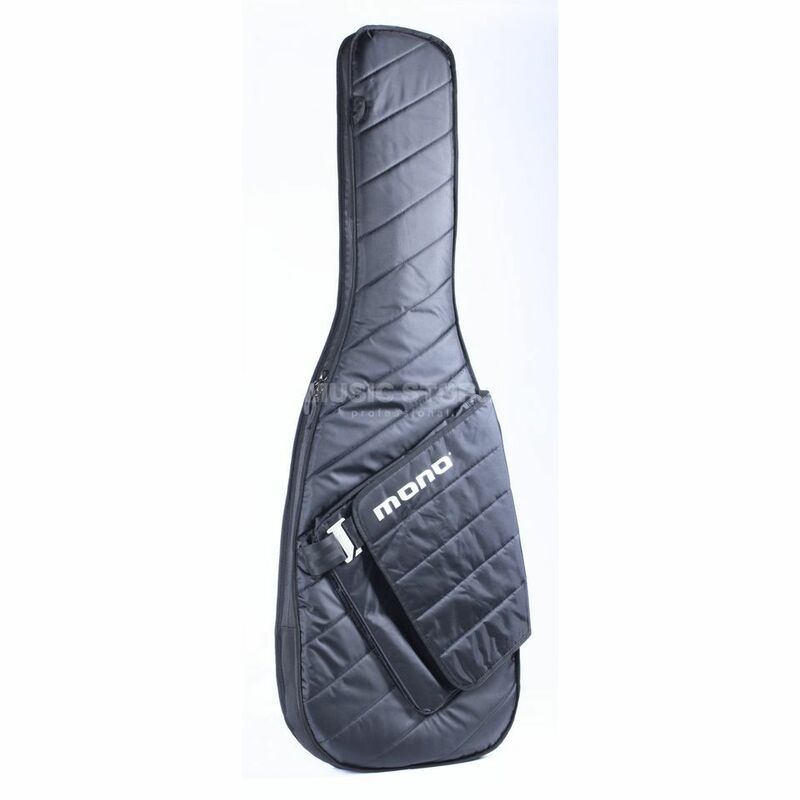 The Mono Bass Sleeve Case Black is the latest addition to MONO's collection of professional luggage for musicians. Designed to be a minimalist solution for travelling light and simple, the new Sleeve™ collection of cases merges MONO's innovative protection and high quality construction standards into a super slim and stylish design. The Bass Sleeve features a slimmer variation of the Headlock™ — MONO's patented neck suspension system. This slimmer Headlock is moulded from solid, shock-absorbing EVA rubber to protect the neck and headstock from impact during falls. When your bass is zipped-in, its neck is automatically secured inside the Headlock's contoured groove. The Sleeve features a messenger bag style storage pouch that's perfect for small laptops, tablets, notebooks, cables and other extras that you might need when travelling light. A small interior mesh pocket keeps those little, critical items close at hand.